Tony Klarich “Slalom Ski Side Slide @ 33 mph”. In the summer of 1983 Tony’s uncle Nick Murphy told him that some guy in Texas was doing a slalom ski side slide. So Tony set out to do it too. It took a couple weeks for the high school senior to figure it out, but the slaom ski side slide was ready just in time for a shoot with pro photographer Art Brewer. It was only then that Nick told Tony the Texas thing was made up…Nick just wanted to see his nephew to do something he thought was impossible! The trick to this move is a hop directly into the sliding position. 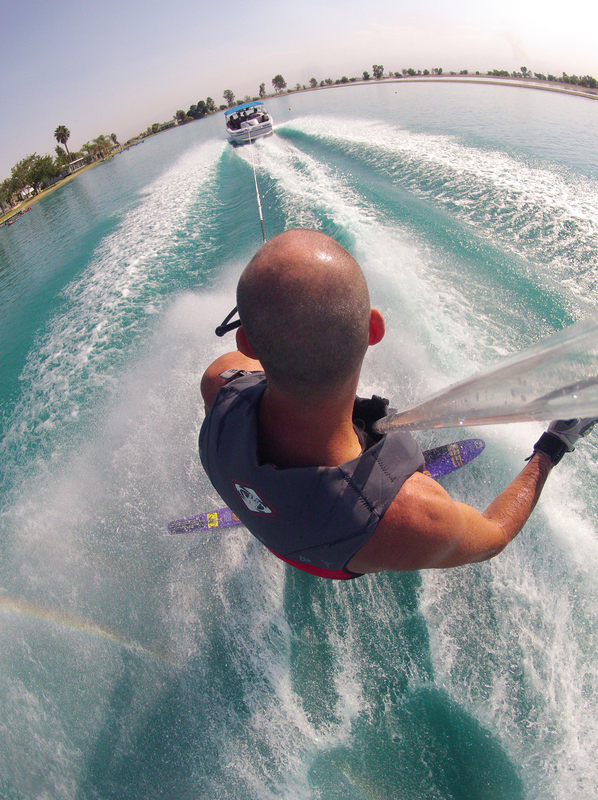 The fin hangs off the edge of the wake and smooth water is mandatory.